The Toast of Broadway club had the privilege of inducting our three latest members to our Toastmaster family! Secretary Rebecca led a wonderful induction ceremony to welcome our members to the club. We welcome Samantha, Oliver, and Rashant to our club. We are all looking forward to hearing all three of our new members speaking ... read more. Every year, Toastmasters from all over the world partake in contests, and Toast of Broadway is no exception. On the 12th March 2018, we had an evaluation contest where our members have the chance to evaluate the same speech. Each evaluator is then judged on their evaluation by judges from other clubs. The judges vote, ... read more. Toastmasters international was founded in 1924 at the Santa Ana YMCA in California by a youth leader named Ralph Smedley. He wanted to teach young professionals how to give after-dinner speeches and toasts at social functions. 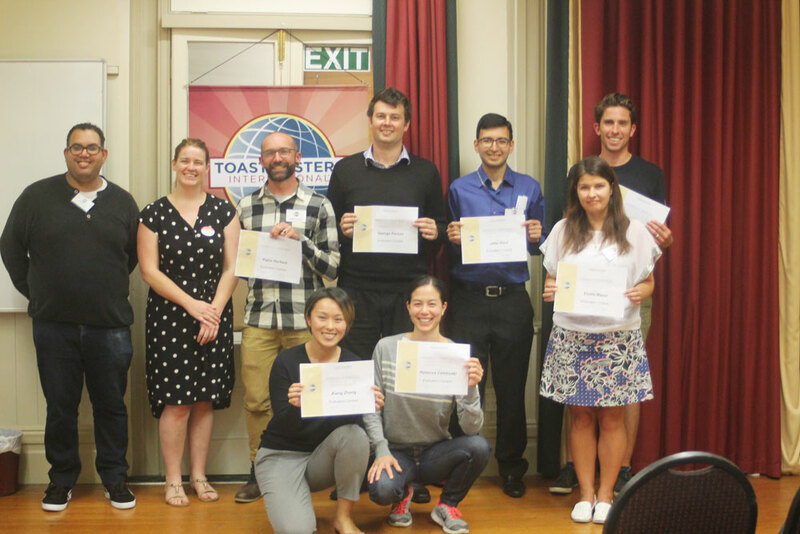 Our club was started in 1996 and is part of Toastmasters International’s network of over 15,000 clubs that meet in 135 countries across the globe. The information on this website is for the sole use of Toastmasters’ members, for Toastmasters business only. It is not to be used for solicitation and distribution of nonToastmasters material or information. The names “Toastmasters International, “Toastmasters” and the Toastmasters International trademarks are protected in the United States, Canada and other countries where Toastmasters clubs exist. Unauthorised use is strictly prohibited.